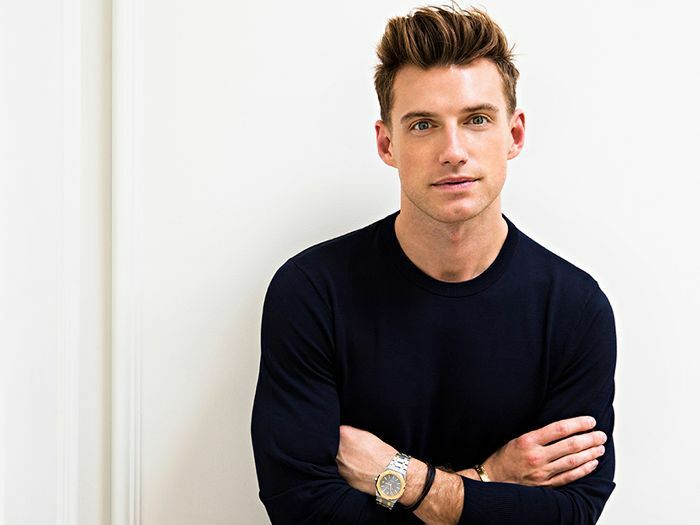 Not everyone is lucky enough to dedicate an entire room in their home to their favorite part-time hobby, but for interior designer Jeremiah Brent—husband to Nate Berkus and father of Poppy, now 3—carving out a small space for his pottery studio was essential. Since moving to Los Angeles from New York City, Brent has enjoyed the luxury of space—their new home clocks in at nearly 9000 square feet. And in the couple's old poolhouse bathroom, he found the perfect small space to install a pottery room that would make Demi Moore's character in Ghost jealous. "I've always loved creating things with my hands," the designer told MyDomaine. "My love for pottery started completely by chance when a good friend of mine recommended I take a class. When I sat down at a pottery wheel, it was like love at first sight. It was so deeply meditative, and I felt connected right away." We dedicate entire rooms to staring at a big screen while simultaneously staring at another much smaller screen (let's be honest), so why not dedicate a space to actually making something from scratch (and staying off our phones)? Take a tour of Brent's dreamy pottery studio and pick up a few ideas for your own hobby room. Man caves and she sheds might be antiquated ideas, but the concept of having your own space to let your creativity fly is not. For Brent, it was only natural to dedicate a space to his love of pottery. "The idea came to me pretty naturally," he says. "We have a space that no one really uses, and I was looking for a spot to create some separation from our home. A place for creation, meditation, and self-reflection—this pottery studio is my little sanctuary." Using a small space that was previously occupied by a shower area and bathroom for their pool house, the designer was able to make the most out of a seldom-used space. "I completely tore the place down, repainted, retiled, added new ironwork, wood beams, and reinstalled everything for the studio," he explains. The small space, which looks out onto a little courtyard sprinkled with antique pottery and hanging planters, is the ideal respite from everyday life. "I wanted it to be completely different and separate from our house, which is bright, happy, and filled with light," Brent told me. "I wanted a dark-and-moody feel to the space—like an old Italian pottery studio. I wanted a space where you could completely isolate yourself and focus on your creations." Using a muted color palette and simple furnishings, the designer created a space that feels almost like a time capsule. For Brent, having a space to make pottery is more than just a creative outlet; it's an opportunity to spend quality time with his daughter. "I'm a complete novice," he admits of his pottery work. "The little pieces that I've created are small, but they are made entirely with love and hard work. Sometimes my daughter comes in and throws with us, and she's a natural. I'm completely in shock because she's only 3 years old and she's probably even better at it than me. Creating something together with her is a different kind of magic—one that I cherish very much." "I really looked for materials that echoed the art—unique and handcrafted," explains Brent. "I wanted pieces that are not too polished or too precious, that could stand the test of me getting down and dirty in the space. I chose this amazing metallic-glazed tile from Clé Tiles that had natural imperfections and went with the beautiful iron and glass doors from Pinky's." One of the designer's favorite parts of the room, however, is the paint: Portola Paint in Guru. "I'm already a big fan of Venetian plaster, and this specialty paint achieves the same look and texture at a more approachable price. I was so obsessed I took it into our own home and repainted our dining room with it as well." For the space, Brent drew a lot of inspiration from the art of throwing pottery itself. The colors, the tones, and the textures are all pulled from elements found in clay and pottery materials. "This project truly was a labor of love," says the designer. "I wanted the place to feel rugged and unpolished but still beautiful and serene. To find that balance, you really have to embrace the fact that there is beauty in imperfection. And I really loved that about this project." When I asked if he would ever sell his pottery to the public, Brent was pensive: "Good question! In all honesty, I am by no means a professional thrower. It's a small passion that I set aside for myself to meditate and self-reflect. Maybe one day!" In the meantime, he continues to hone his craft in the serenity of his enchanting studio space, looking to some of his favorite artists for inspiration: James Brown, Constantin Brâncuși, Alberto Giacometti, Picasso, Toshiko Takaezu, Carlos Otero, Maria Martinez, and Axel Vervoordt. "Artists have always been my biggest source of inspiration. I have such deep appreciation for artists who have the ability to create something from within, something completely unique and original to each piece of work." Brent's ultimate favorite thing about his pottery studio is golden hour. "There's a special time in the evening where light pours in from this single window in the space, and it is simply serene and beautiful," he says. "It gives off this dramatic lighting to the space that reminds me of Italian Baroque paintings and their use of chiaroscuro." Selfishly, we're hoping this magical hour will inspire the designer to open up a pottery shop sometimes soon.